21 February 2017 – The lower house of Bahrain’s parliament has approved a constitutional amendment removing restrictions the ability of military courts to try civilians. The amendment, which is reported to have been initially proposed by the office of the king, was passed in a 31-1 vote by the forty-member Council of Representatives. With the approval of the lower house, the amendment has now been fast-tracked to the royally-appointed Shura Council for urgent consideration and confirmation. We, the undersigned, condemn any expansion of military court jurisdiction to include civilians, and we call on Bahrain’s legislature rescind this amendment. If passed by both houses of the National Assembly, the bill will revise Article 105(b) of the 2002 constitution, which currently prevents military courts from trying civilians unless the king has a declared a state of martial law. Under the new amendment, military courts will be free from this limitation, leading a Bahraini legal expert to describe the development as “a new martial law,” expressing fears that civilians will be prosecuted there and denied fair trials and access to lawyers. The bill has been expedited through the government, with a special session of the legislature held on 5 February, days after the amendment was circulated in a memo. Now, just 16 days later, the Council of Representatives has voted it through. Bahrain’s Ministry of Defence (MOD) told local press today that the law was “essentially for the protection of the armed forces.” The Ministry of Interior (MOI) additionally denied that the amendment would allow ordinary civilians to be tried by military court, stating that the amendment would instead allow them to more effectively prosecute civilian whistleblowers within the MOI. King Hamad previously granted military courts wide powers to try civilians when he declared a State of National safety in March 2011, facilitating the authorities suppression of pro-democracy protesters. The National Safety Courts (NSC), as they were named, prosecuted at least 300 protesters according to the Bahrain Independent Commission of Inquiry (BICI, para 1289). Among those tried in the NSC were doctors, nurses, and the Bahrain 13, a group of political leaders and human rights defenders sentenced to between five years and life imprisonment. The BICI found that “fundamental principles of a fair trial, including prompt and full access to legal counsel and inadmissibility of coerced testimony, were not respected” in these courts (para. 1720). Furthermore, both the military and civilian court systems have failed to hold perpetrators of human rights violations accountable for their actions. In fact, Mansour Al-Mansour, the military judge who presided over the NSC, is today a senior member of the Joint Incidents Assessment Team, a Saudi Coalition body charged with investigating international humanitarian law violations in Yemen. Mansour Al-Mansour’s team has already been accused of whitewashing the coalition’s alleged war crimes. Civilian criminal courts have also continued to violate due process rights and issue severe sentences on charges related to free expression, assembly, and association. Since the government closed the NSC, civilian courts have persistently failed to provide basic fair trial guarantees or to adequately address allegations of torture and coerced confessions. The government executed three torture victims in January 2017 after civilian criminal courts convicted them under the broad anti-terror law and sentenced them to death. Judges dismissed credible torture allegations and denied the defendants access to legal counsel. The UN Special Rapporteur on extrajudicial killings determined that the executions were in fact extrajudicial. The amendment is only the latest troubling legislation passed since the beginning of the new year. In January, the king reinstated the National Security Agency (NSA)’s powers of arrest. The NSA, Bahrain’s intelligence service, was involved in systematic arbitrary detention and torture in 2011, resulting in the death of at least one detainee in their custody, cofounder of al-Wasat newspaper Karim Al-Fakhrawi. The re-empowerment of the NSA directly reverses the government’s implementation of the relevant BICI recommendation, one of only two that had been fully implemented. Local media has reported that the NSA began exercising its renewed powers as early as 1 February 2017, with the arrest of medical professional for providing treatment to a protester . For more information on the original amendment proposal and implications for Bahrain’s obligations under international human rights law, see here. 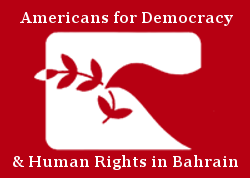 We, the undersigned, condemn the Council of Representative’s vote to approve the amendment to Article 105(B) of the 2002 Constitution, and urge the Government of Bahrain to to reject any attempt to subject civilians to military courts. We further call on the government to ensure that all courts in the country adhere to international judicial standards and respect the right to a fair trial as enshrined under article 14 of the International Covenant on Civil and Political Rights (ICCPR).